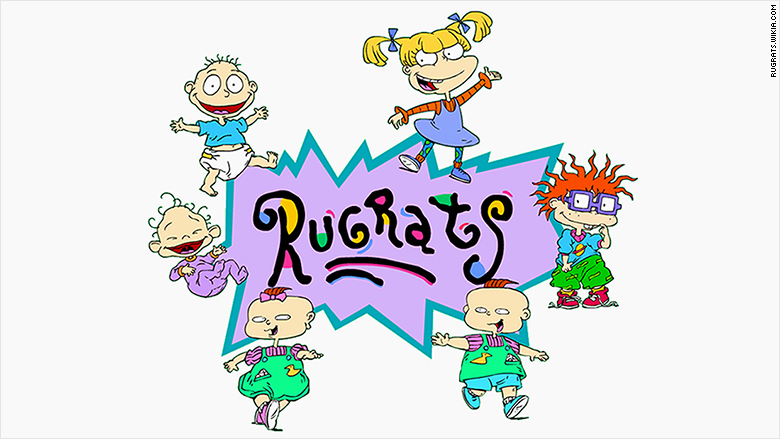 Hulu users will now be able to watch "Rugrats" on the streaming service. Hulu on Tuesday expanded its programming for kids and kids at heart. The streaming service announced on Tuesday that it renewed and expanded its partnership with Viacom. This means some of Nickelodeon's classic shows from the 1990's like "Rugrats" and "Doug" will make its streaming debut on Hulu. Other children's series like "Teenage Mutant Ninja Turtles" will also stream for the first time on the service. The deal will bring Viacom's more adult shows like "Broad City," "Drunk History," and "Inside Amy Schumer," which just won Outstanding Variety Sketch Series at this year's Emmys, to Hulu. This includes new episodes and past seasons. It also extends Hulu's deal concerning "The Daily Show." This means that even though Trevor Noah is the new host, viewers will still be able to watch new "Daily Show" episodes the next day on the service. "Hulu has been a great partner for Viacom for many years," Viacom CEO Philippe Dauman said in a statement. Hulu is another streaming video on demand service that has boosted its programming directed towards children. This allows the company to make its programming more family friendly while also help to grab users when they are young. By adding classic Nickelodeon shows like "Doug" and "Rugrats" to other vintage Nickelodeon shows already in Hulu's library, it appears to be trying to nab a nostalgic audience as well.